“Our parents have signed us up to play the world’s most popular team sport and we hope you will patiently teach us how to play soccer properly. “We love being active and it is extremely difficult for us to just sit or stand around. Our attention span is rather short and we have sudden shifts in behavior from good to bad. “We enjoy group play but prefer to play in smaller groups. We have difficulty in co-operating with others and are not ready to be placed into playing positions. Many will continue to think that the ball is their own toy. They may be able to find teammates for a pass. They will continue to release the ball too early – or maybe not at all. They’ll have a difficult time judging the flight and speed of the ball. Don’t expect many fakes and feints. They can dribble with change of speed. They will still not understand the concept of space, so any encouragement to play their positions is absolutely pointless. They will tend to chase after the ball while attacking. Most will know which goal to attack – with an occasional reminder. Most will want to get possession of the ball to simply ‘go for goal’ and score; sometimes toward both goals! They will tend to kick at the ball with all their might. 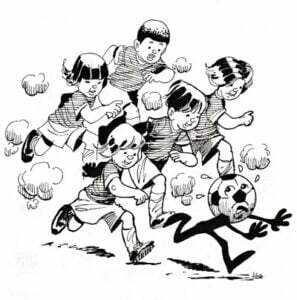 They will occasionally take the ball away from their own teammate. They may have a difficult time taking the ball away from opposing players. They may defend the appropriate goal because Coach has (wrongfully) placed them there. Most children will continue to just watch the ball or chase after it. They will tend to run and change direction in short bursts until they get tired. 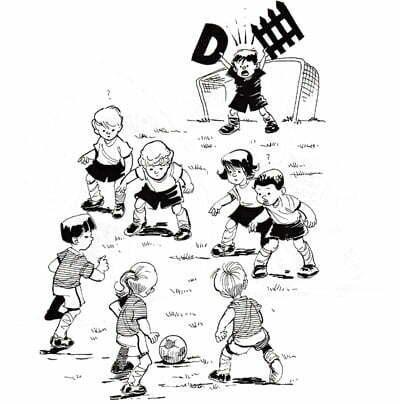 At this age interest in playing soccer needs to be developed in an enjoyable way, so that the children will eventually end up loving to play the game. It is a fact that coaching younger players can be especially challenging. 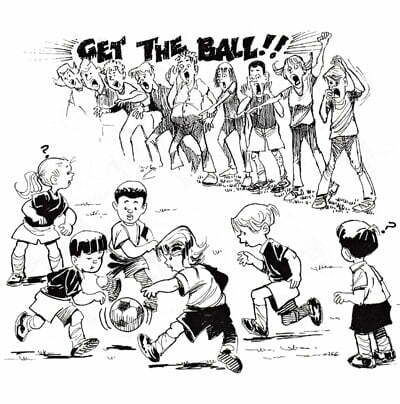 Keep in mind that U-8 players can be impatient and easily distracted. This should be expected. Don’t get frustrated. You can reach and teach all players with the right approach. 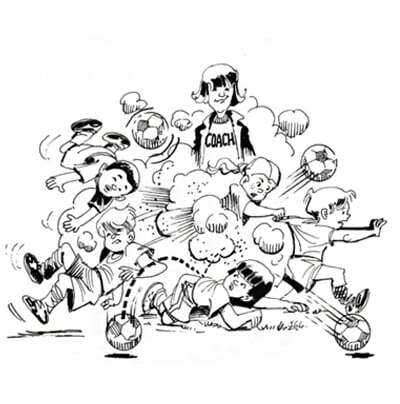 The FUNdamental SOCCER Practice is a youth soccer coaching approach that has been proven to work with children. 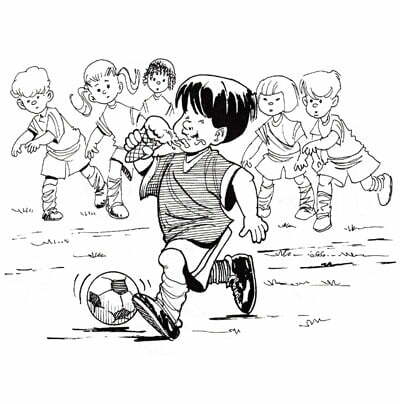 No More: Drills, Eye-foot coordination games, Soccer related games, Lines, Laps and Lectures. It uses a methodology that is often at odds with the traditional methods, but really works with children.